Connect with makers from all over the world. Exchange knowledge, materials, and products of DIY manufacturing and biomaterials. This is a platform calling for a collaborative movement between artists, designers and craftsmen. We want to learn, share and grow as a part of a community of makers. learn to use and compliment our surroundings whether through materiality that is conscious to our natural environment or through methods and practices rooted in our locality. This is a space for the makers of the world to come together, communicate and exchange ideas and practices. 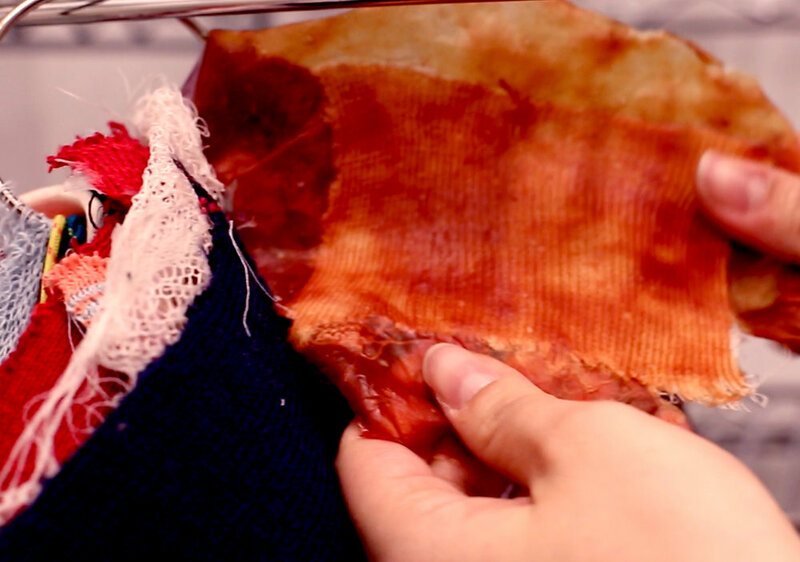 Biomaterials are an investigative field, slowly changing the world of art and design. Through inventing new sustainable materials we are able to reimagine what we know about manufacturing. Biomaterials have the extraordinary potential to undergo manufacturing processes that up until now applied only to synthetic materials! such as plastic and polymeric foams! Together we can find ways to reform home and potenrially industrial manufacturing of our everyday used objects. Reclaim the power of DIY manufacturing. Through the possibilities of production with biomaterials we can modify industrial practices to fit domestic ones. We need to think and collaborate with practitioners and find new ways to produce a high quality useable object together. We need to think of how we change the mindset of designers and artists. Art and design should no longer be a one person's achievement! The path to make a change in the materials we use starts with the way we work. In Makemoret collective we see that real change starts with collaborative working. surfboard manufacturing techniques interpreted to DIY casting to make a wetsuit. Collaboration with Mikhmoret seamanship club, IL, and Seadney board studio Herzelia,IL. Share the Wealth! get inspired by other makers. and help others achieve their crafting goals. Upload recipes, tutorials, and projects! Find the answers, and ask the questions. Through this platform you can help yourself and your community. Gal Yakobovitch is a fashion oriented maker working in NYC. Bridging the gap between new biomaterials and old manufacturing methods, doing so by creating the MAKEMORET COLLECTIVE platform which offers a communication line between biomaterial designers and traditional practitioners to collaborate and exchange resources, ideas and products. This collision is made to reform the way us makers approach DIY manufacturing and its worth, in terms of quality, craft appreciation and sustainability.